We know from extensive experience that it takes a community of businesses to create the delicious results your customers’s taste buds enjoy. Our goal is to make it as easy for you to find and mix and match the resources you need to make it happen. 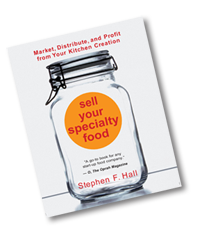 Most of these resources are referred to in our From Kitchen to Market – Sell Your Specialty Food book. We are always actively seeking new expert companies in the food industry to add to our resource list. Please visit and use these pages as often as you like and feel free to share them with other entrepreneurs. Don’t forget to visit the Learn & Grow Forum, where you can find even more expert advice from fellow entrepreneurs. If you feel you need a more individualized approach, consider our business coaching services to guide your efforts. Regardless of what you seek, we are here to help you every step of the journey.